Brendan Rodgers has warned Luis Suarez: Liverpool are too big to be pushed around. 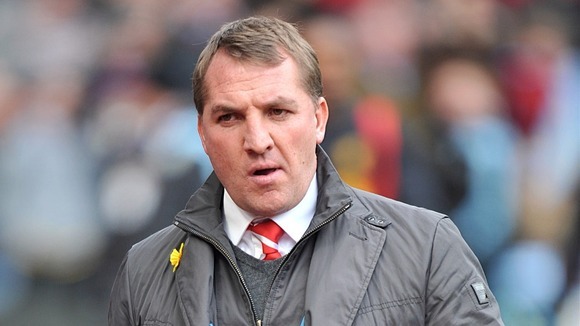 Kop boss Rodgers is ready to hold talks with the Arsenal target, who joined him in Melbourne yesterday. But Liverpool insist they will not be forced into selling Suarez, despite the Uruguayan stating he wants to leave. Rodgers said: “There is no player bigger than Liverpool Football Club. That is something we are very strong on and this is something we will control. “Football is different nowadays, the market is totally different, and players can create different ways to open it up. “But this situation won’t be controlled by the player. I am very strong on the values of the club and how we operate. That £30million offer came from Arsenal but it was rejected. Real Madrid are also being linked with the striker, who has three years left on his Anfield deal. Suarez will play a part in tomorrow’s clash with Melbourne Victory— along with Steven Gerrard.